This is an innovative service that provides a unique gateway for local entrepreneurs to reach both local and international markets through social media. Internet marketers and especially bloggers looking for an escrow account to safeguard against fraud should use this service and be guaranteed safe payment services with tested money-back guarantee for failed transaction and all that is required is your phone number or QR code, no need for dropping bank details. 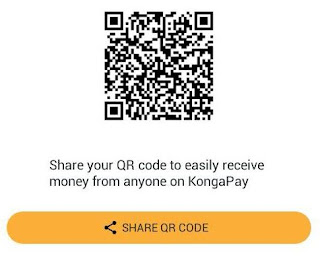 And it is all integrated in the new KongaPay app.  Instant refunds – a first among the e-commerce platform in Nigeria.  Pay with just your verified phone number and 4-digit PIN.  Set up payment subscriptions and recurring payments.  Pay offline. Just show your QR code at any participating merchant store. 1. 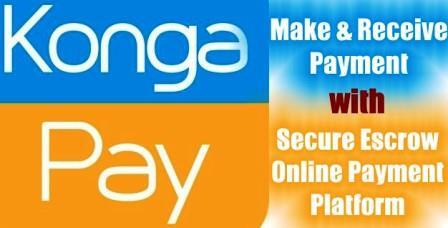 To Start the KongaPay Registration, Click here to go to KongaPay site and supply the information required to link up with your bank. 2. If you want to do this step from the app, just click here to download the KongaPay app on your device or Click Here to get it from Playstore, install and tap on “Sign Up Here” on the first screen, then follow the instructions below). If your Google Playstore is not working, click here to resolve the issue. 3. On the first page, select your bank and type your bank account number and BVN number. Don’t worry about your security, everything is encrypted and secured. 4. On the second Page, fill in your Phone number, Date of birth and also your preferred 4 digits pin. To avoid error, make sure the Phone number supplied is the same as the one you used in registering your BVN. 5. Once everything is in order, you will receive a verification code to your phone which you then enter in the box for full verification. 6. 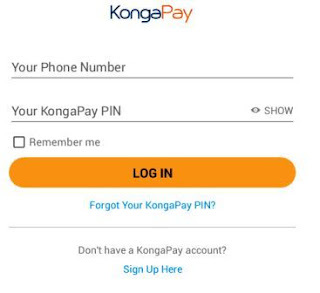 Once you are done on the KongaPay registration, open the KongaPay app and enter your phone number and the 4 digits pin you hard earlier supplied. 7. To get your QR code which you can share with your prospective buyers, go to the top right section and tap on “MyQR”, then on the next page, click on “Share” and select your social media platform (Facebook, WhatsApp, Instagram, Telegram etc). 8. To use the Pay/Send money service, just slide from left and from the menu, select “Pay/Send Money” then just type the Seller’s registered Phone number, amount to be paid and the description of services/product. 9. 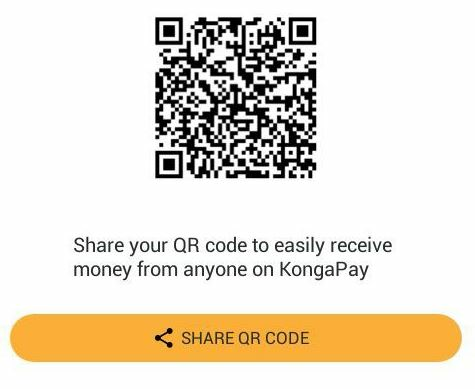 You can also save or screenshot the QR code image and share it anytime without opening the app for your payment services anywhere anytime. 10. To open your payment services from the saved image, just tap on “Scan QR” and at the top right corner, tap on “Select from Gallery” then go to your gallery and select the saved image, once you select it, it will open the payment page immediately. Beyond being an e-commerce platform for trade, KongaPay Pay and Send money service has positioned Konga as a solution provider and a pacesetter to other e-commerce platforms in Nigeria on how e-commerce can contribute to employment generation, entrepreneurial empowerment, ecosystem development and also help in the economic growth of Nigeria and Africa. We are proud to say that KongaPay is the first payment solution in the world to entrench these collective e-commerce solutions into one product.